Angled upper cabinet with 12in-16in sides and an 18in tall appliance garage. 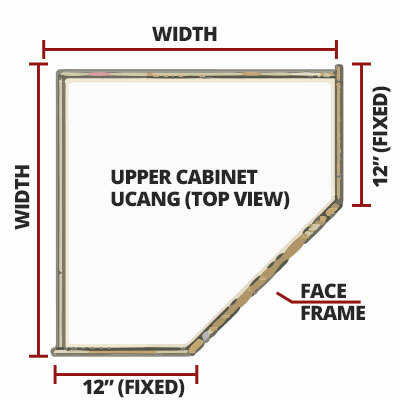 IMPORTANT Note: The order height of your cabinet should not include the additional 18in height. 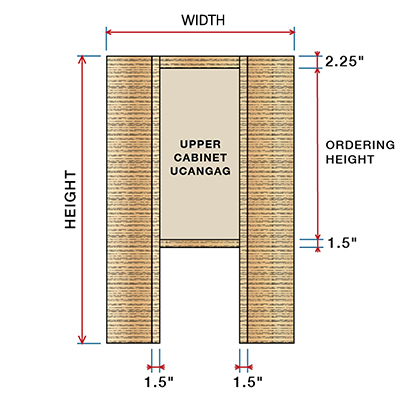 Example: If you order this cabinet 30in tall then your cabinet will come 48in overall height. Available with up to three adjustable shelves. Our ready to assemble cabinet boxes come with interiors finished with PureBond formaldehyde-free technology.